The LP1210 is LP's patented Granite Blocks that are a patented rendition of anchient Chinese temple blocks. Crafted from Jenigor, LP's exclusive plastic formulation, LP Granite Blocks are a set of five virtually indestructible temple blocks that are tuned to match the traditional pitches and be set-up in two different configurations. The set comes with a mounting bracket that allows you to easily attach to any stand from 3/8" to 1" in diameter. It can be fully adjusted to accommodate two different configurations: the compact over/under set up or the orchestral, five-across style. 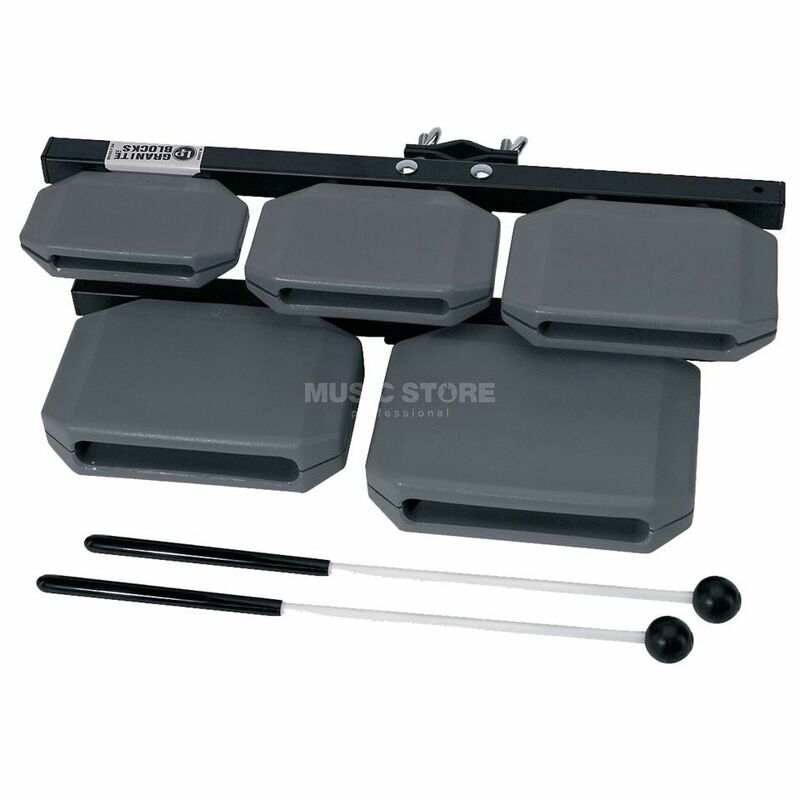 LP Granite Block Mallets are included.